Attorney Hal Waldman received his Juris Doctorate Degree from Georgetown University in 1977. At Georgetown, Mr. Waldman was Editor of the Journal of International Relations. He was admitted to practice in Pennsylvania and Ohio as well as the District Court of Western Pennsylvania and United States Supreme Court. Mr. Waldman has decades of experience as a Pittsburgh personal injury lawyer, as a member of the Allegheny County Bar Association, Pennsylvania Bar Association and American Bar Association. Mr. Waldman is also a member of the Million Dollar Advocates Forum, a group that recognizes attorneys who have had settlements or verdicts in excess of one million dollars. In 2011, he was listed as one of the Top 50 Lawyers in Pittsburgh by Pennsylvania Super Lawyers Magazine. Since 2009, Mr. Waldman has been recognized by Pennsylvania Super Lawyers as one of the top 5 percent of attorneys in Pennsylvania. He has also been listed as one of the Leading Plaintiff Lawyers in America by Lawdragon. The National Trial Lawyers list him as one of the Top 100 Trial Lawyers. In 2017, Mr. Waldman was admitted to The Lawyers of Distinction, a membership reserved for the top 10% of attorneys in the United States. Mr. Waldman has owned numerous nursing homes and assisted living centers and is a recognized expert in the area of nursing home law. Mr. Waldman also serves clients in the area of business and construction law. As an undergraduate, Mr. Waldman attended Oberlin College where he graduated in 1974 with Highest Honors in history. He is currently a member of the President’s Advisory Council for Oberlin College. Mr. Waldman is actively involved in the community. 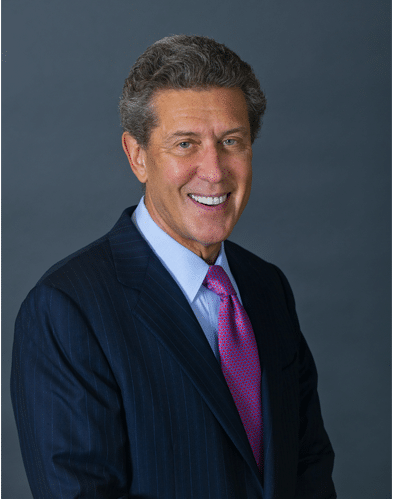 He is Chairman of the Pittsburgh Ballet Theatre and is involved in numerous non-profit charities and social service organization in the area. Hal Waldman and Associates has been involved in numerous large personal injury and class action settlements that exceed millions of dollars. Membership in the Million Dollar Advocate Forum requires handling cases in excess of One Million Dollars.